Crumbling plaster, broken and splintered lath, cracked cement, fractured concrete, gap-toothed brick walls, rusting iron, daggers of shattered glass... no argument about it: there's something hypnotically alluring, darkly fascinating, about a truly great ruin. 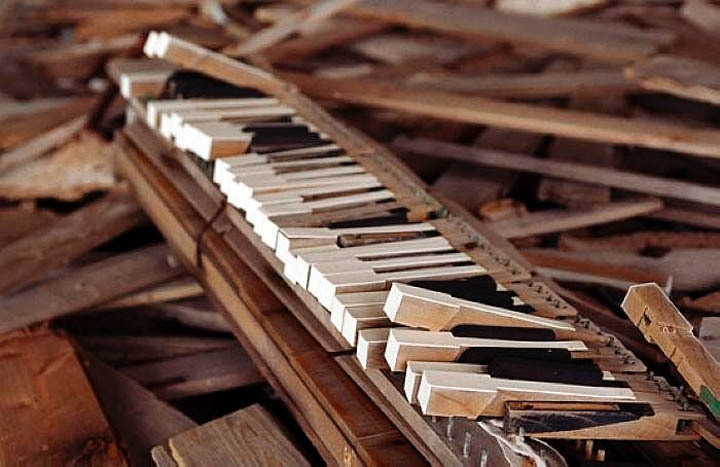 What's now decay and rot once was bright and brilliantly full of hope: Who lived here? What were their lives like? What happened? How did it all come apart? How did it all crumble to almost nothing? 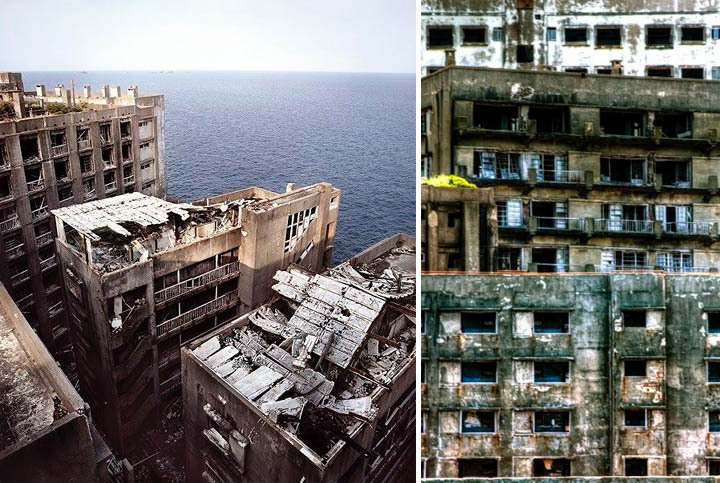 In the case of Hashima Island, or Battleship Island (Gunkanjima in Japanese) as it's often called, hope and optimism became dust and decay because one black resource (coal) was replaced by a cheaper black resource (oil). 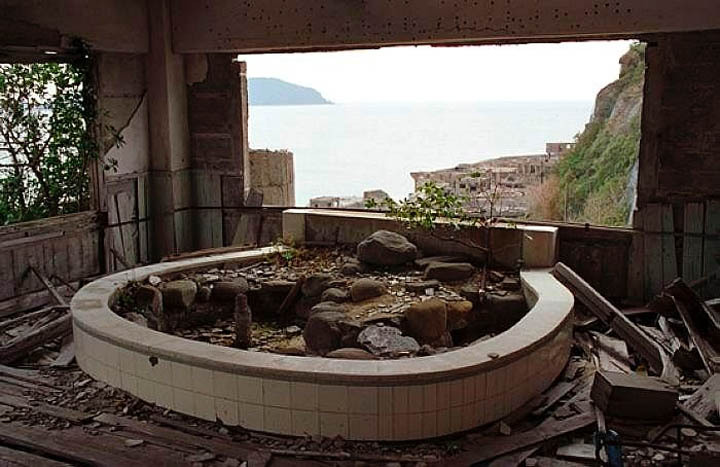 Populated first in 1887, the island – which is 15 kilometers from Nagasaki – only began to really, and phenomenally, become populated much later, in 1959. 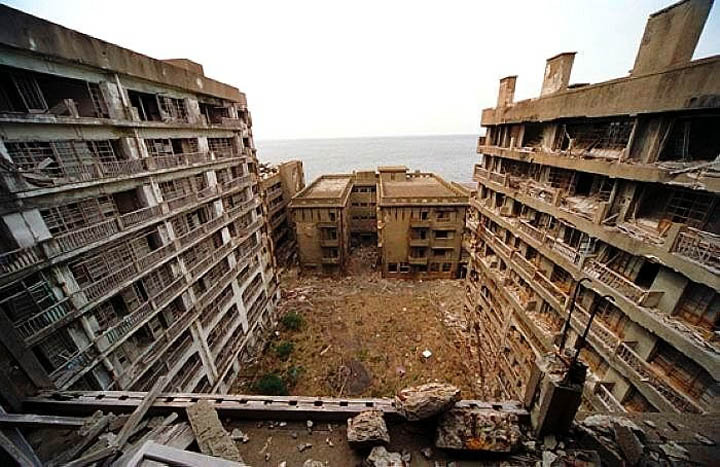 Hashima is, for many ruin fans, the rotting and collapsing grail, the benchmark all other crumbling structures are measured against – and seeing pictures of the place it's easy to see why. 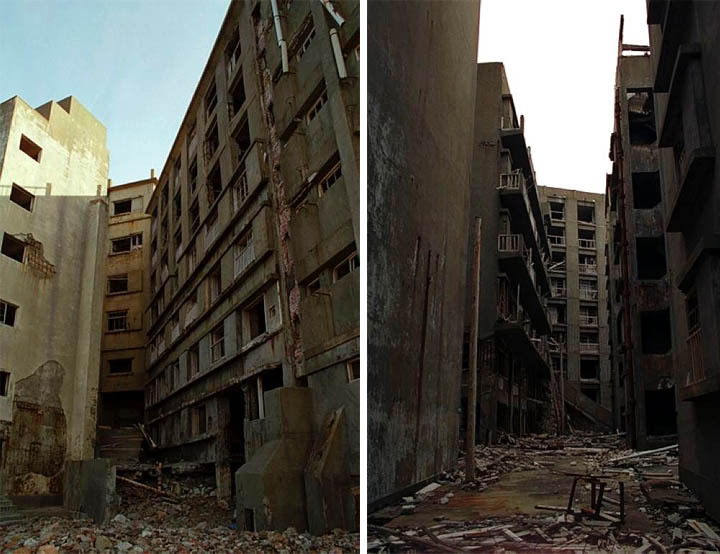 Not only is Hashima frighteningly preserved in some places, as if the residents had just stepped out as few minutes before, but it is also, contrarily, spectacularly falling down. Beyond its current awe-inspiring state of decay, the island's dramatic isolation and its bizarre history make it the ruin of ruins. 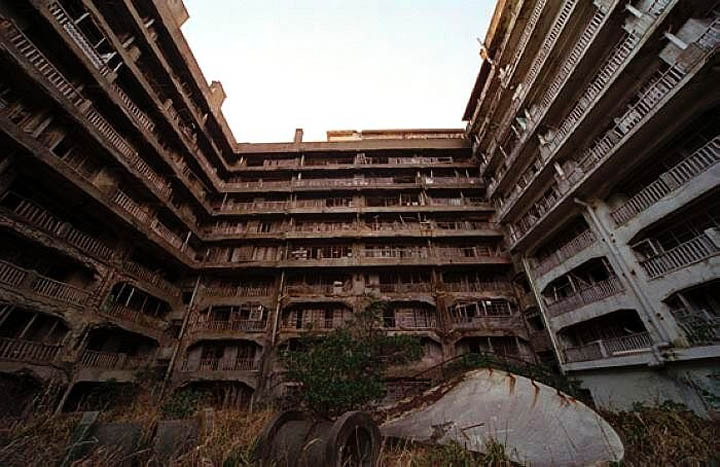 Before that day when coal was replaced by oil, Hashima was the most densely populated area – ever. On that tiny island, crammed into what are now decaying tenements, were thousands of miners, their families (including children), support staff, administration, and everything necessary to make their lives at least tolerable. 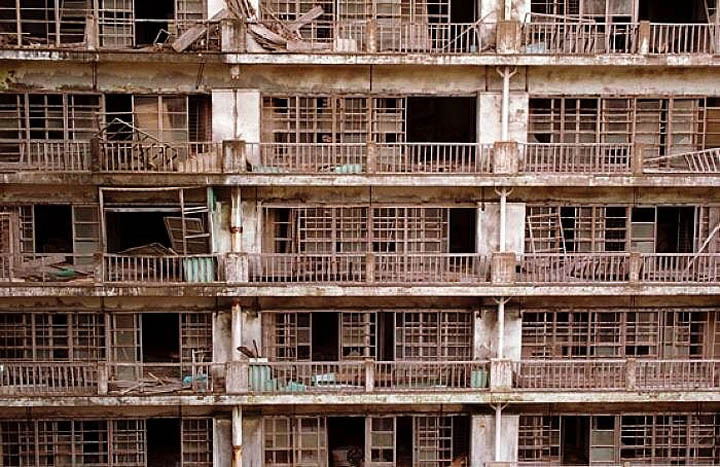 It's hard to imagine when looking at the empty doorways, ghostly apartments, and hauntingly vacant corridors what the lives of those people might have been like. 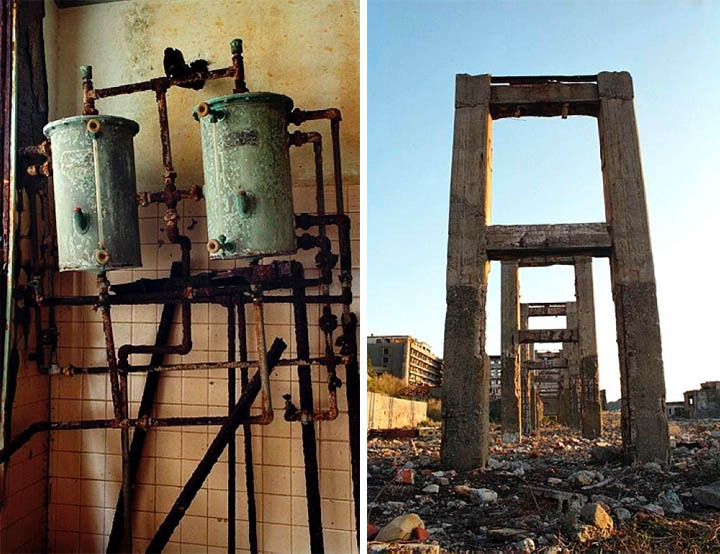 See the great gallery of Hashima Island, by Japanese photographer Saiga Yuji - here. 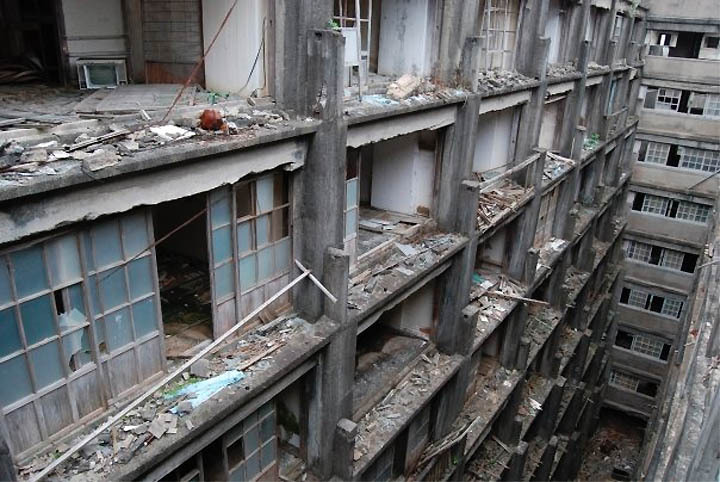 Unlike the post-apocalyptic drama of Hashima, we can very easily imagine what the lives of the residents of the famous Walled City of Kowloon were like – in fact we can ask them, as their city was torn down in 1993. 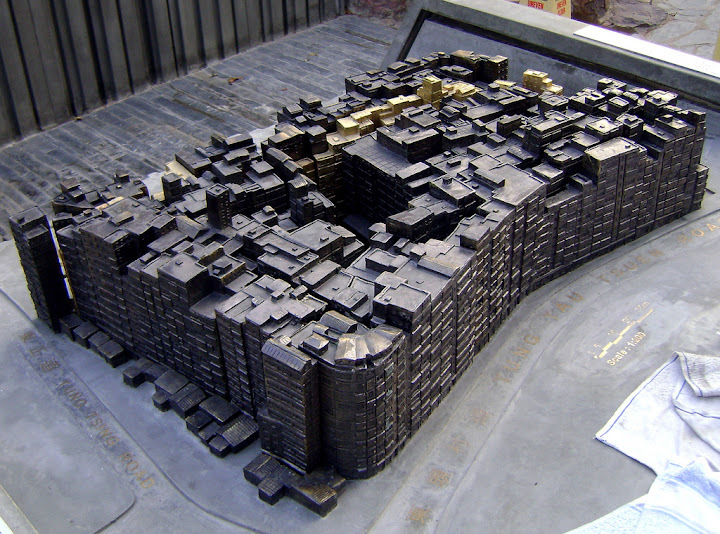 The reason why the Walled City gets so frequently mentioned as a ruin is, while it was there, it was as if the people who lived in it were living their lives in the guts of some great, monstrous, maze. To say that the city had a long history is an understatement, as its roots go back to the Song Dynasty (960 AD, if you need to know the date). The city was a curiosity for a very long time – a strange bit of legal knotting making it Chinese and not British -- but the labyrinth didn't start to grow appreciably until after the second world war when it became a haven for... well, people without a state: refugees, squatters, thieves, drug-dealers, and much more (and much worse). 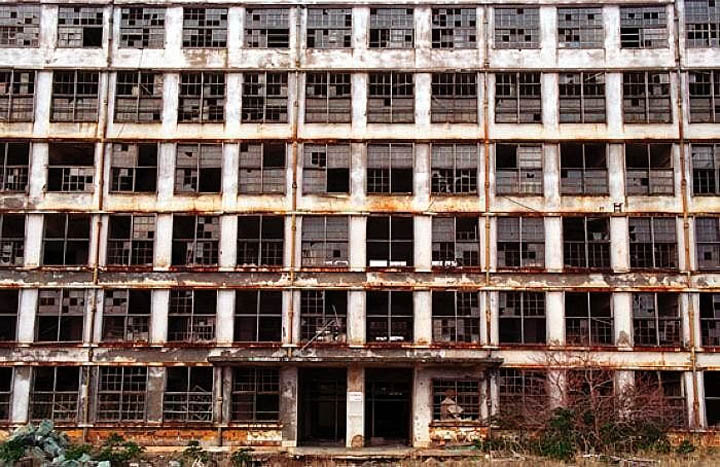 Neither Great Britain nor China refused to have anything to do with the immense warren of walkways, apartments, workshops, factories, brothels, gambling dens, and opium dens. The Triad, who represented most of the criminal element, were pretty much forced out in the 70s – by a police attack some 30,000 strong, no less -- but the city remained as a kind of anarchist warren, a world-unto-itself where the residents built and maintained pretty much everything. 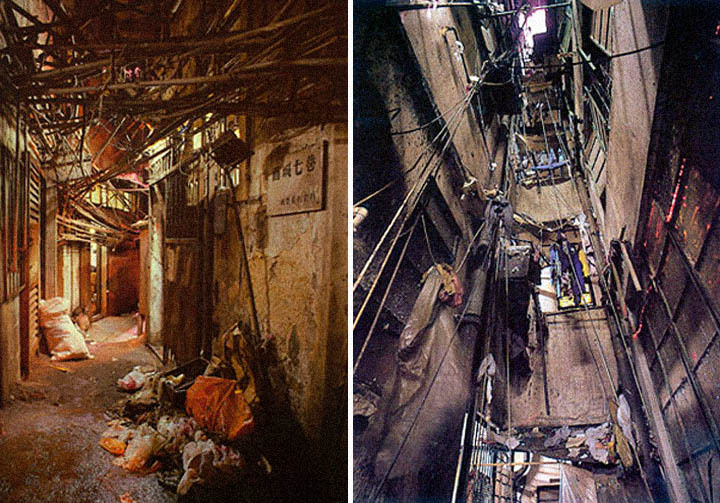 Looking at pictures of the city today, it looks like some kind of ramshackle prison, a cyberpunk nightmare of florescent lights, spectrally flickering televisions, and mazes of perpetually damp hallways and trash-strewn alleyways. Yet, for many people living there, it was simply home. 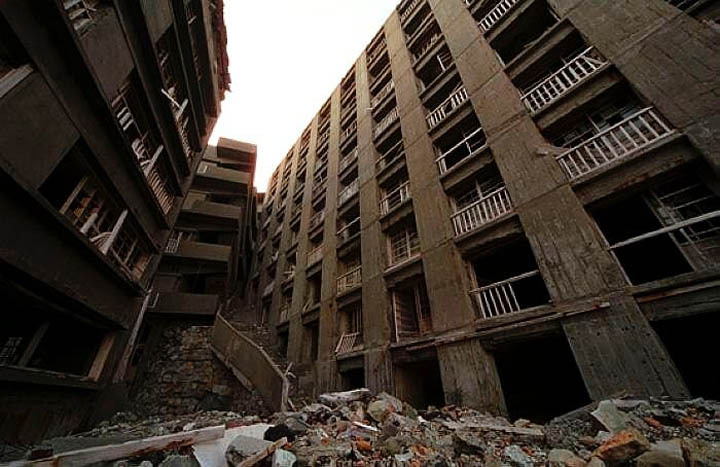 In any case, the end of the living ruin that was the Walled City came to an end in the 90s when the residents were evacuated and their fantastic city-within-a-city was torn down. 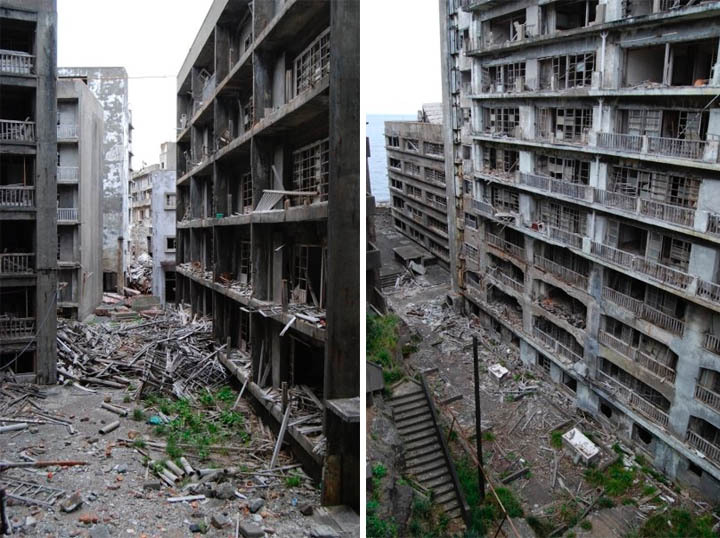 Interestingly, the Walled City has a strong connection to Hashima as, at its height, the Walled City had a population density almost rivaling that Japanese island. Before the bulldozers came, it had a staggering population of 50,000 people, all living in an area the size of a few city blocks. 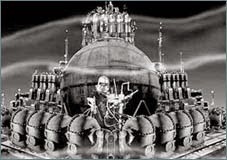 But if you're talking ruins you have to talk about the ruin FROM THE FUTURE .. or at least a ruin that looks like it came from there. If you travel to Taiwan, up north to be specific, you will find yourself in a what looks like the fantastic set from some kind of big-budget science fiction epic: the Resort of San Zhi. 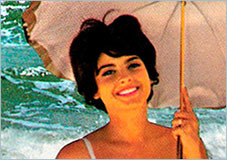 Built in the 1980s, the resort was supposed to be, planned to be, a vacation spot from the next century .. BUT TODAY! 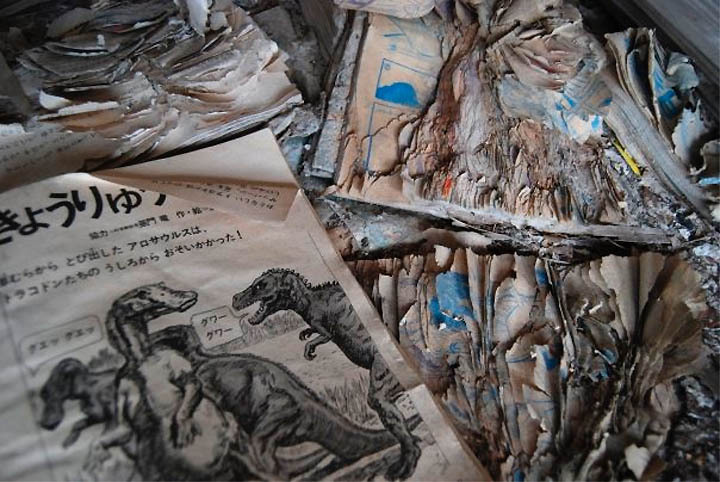 Decaying, rotting, crumbling, collapsing – ruins are the remains of what was, of the lives of the people who lived in them. 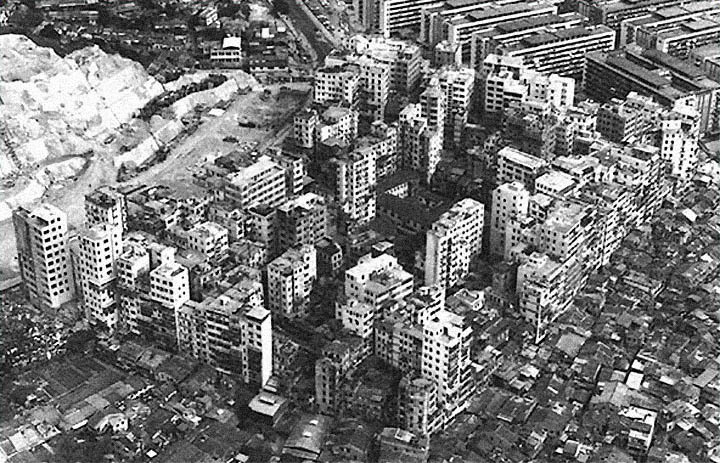 In the case of Hashima Island, what remains teases us with thoughts of what it must have been like to live in the most densely populated area in the world... with the Walled City of Kowloon, we instead dream of what it must have been like to be a resident of a labyrinthine living, breathing ruin; and then there is the painful folly of San Zhi – a ruin not from the past but strangely, wonderfully, from a tomorrow that might have been. Damn, what fascinating stuff! 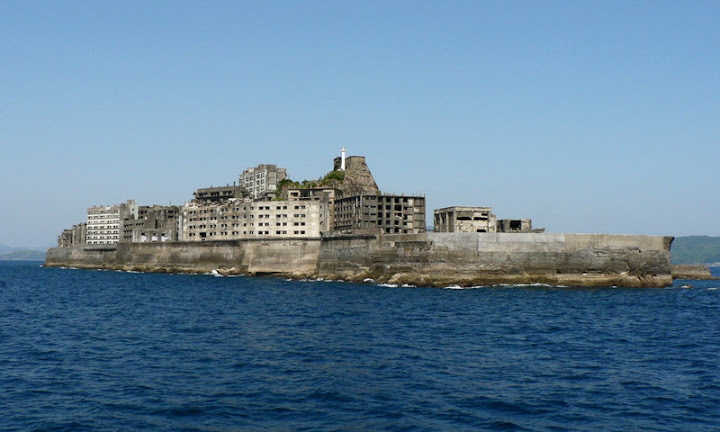 I must try to visit Battleship Island next time I visit Japan. I was lucky enough to see the Walled City in the early '80s, though I was strictly warned not to go into it. 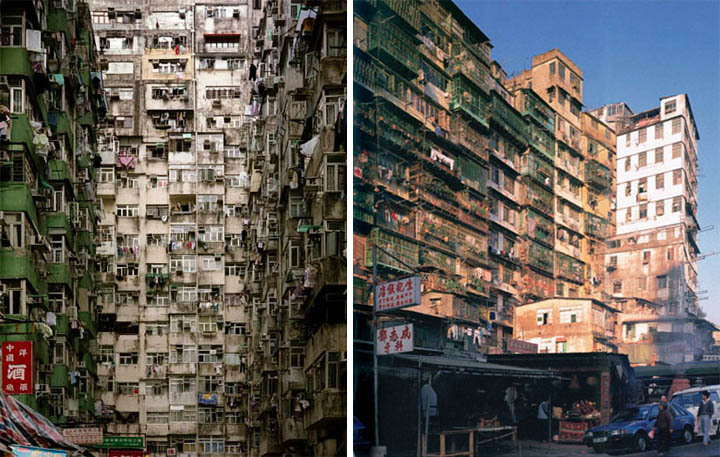 Somehow it seemed to represent, all by itself, the popular notion of "the teeming streets of Hong Kong". 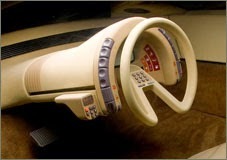 And yes, it just screams 'cyberpunk'. Are you sure it is 30000 police in the raid as compared to 3000? Wikipedia Chinese says 3000, and I personally find that 30000 police in a raid is too. NYC currently has 30000 police officers. 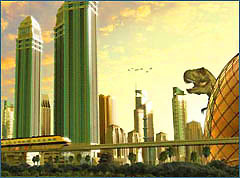 You don't need a force that big to attack a small area. You should give credit to the site owner who is the original photographer. 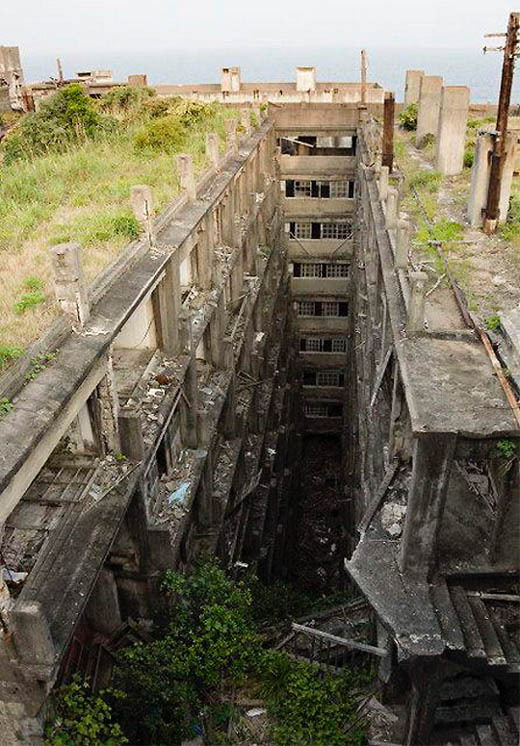 They do tours of hashima now. 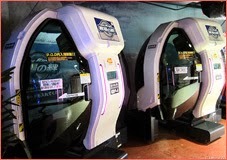 They do have a website, and i'm fairly sure you can get to it via japan-guide. I was tempted to go when i visit Japan but it's too out of the way to justify going. 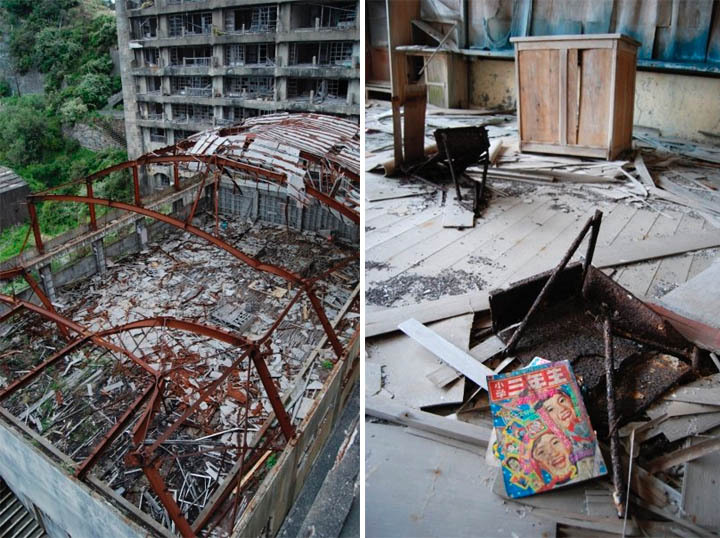 I just discovered that the Blaxploitation movie 'Cleopatra Jones and the Casino of gold' was partly shot in Kowloon. I feel the need to direct a Survival Horror movie on Battleship Island at my earliest convenience! This just another ghetto, or the slums. 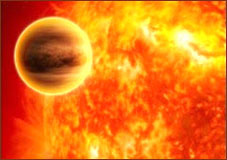 Nevertheless still very fascinating indeed. Thx for sharing. 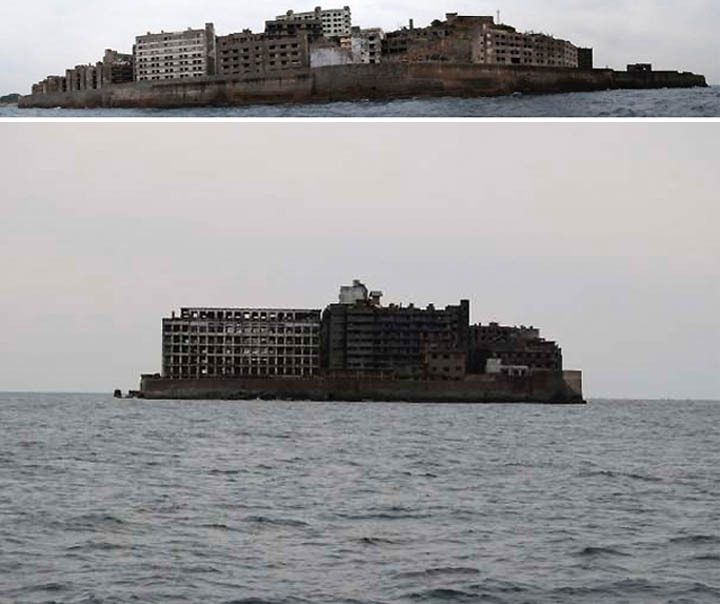 Battleship Island would make a beautiful resort. Get rid of the wooden buildings that have become kindling, restore those breathtaking stone walls and the cool cement buildings. Wallpaper magazine would have a field day there. It's hard for me to fathom so much wealth and beauty just sitting there unloved. 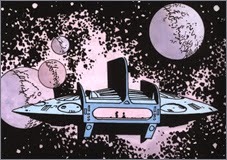 It's an immense asset, just sitting there. 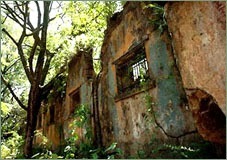 And there are big, beautiful stone walls on the interior of Battleship Island. You can't see them in these photos, but they are in the series of photos at the link I followed. It's like the Imperial Palace in Tokyo or some other castle from old Edo. 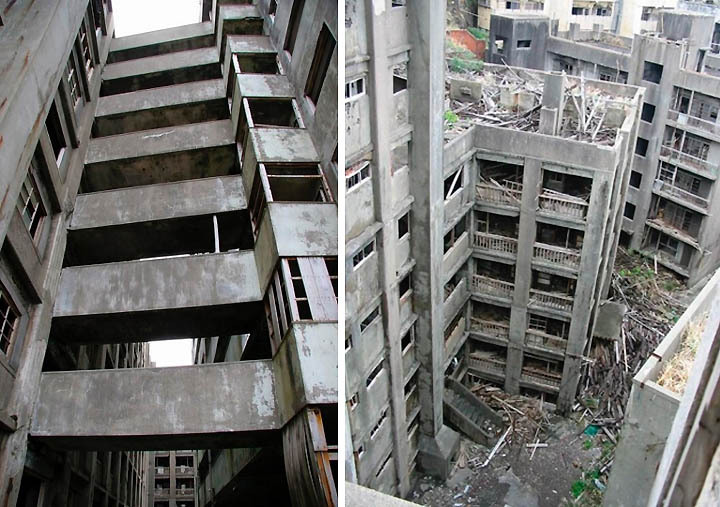 BTW, i wonder, if this failed resort might have a chance now. Exactly the pace to have guided walkthroughs for an hour or two. 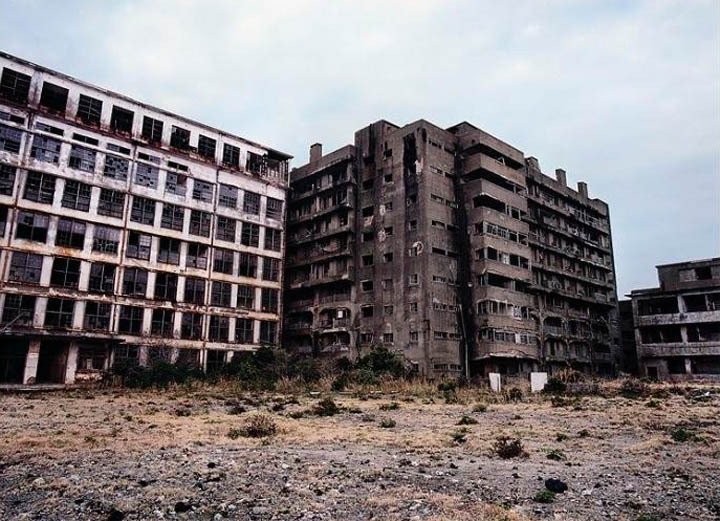 was shot in Gunkanjima, from the sea, as at that time it was forbidden area, now tours are organised. Definitely worth the trip ! 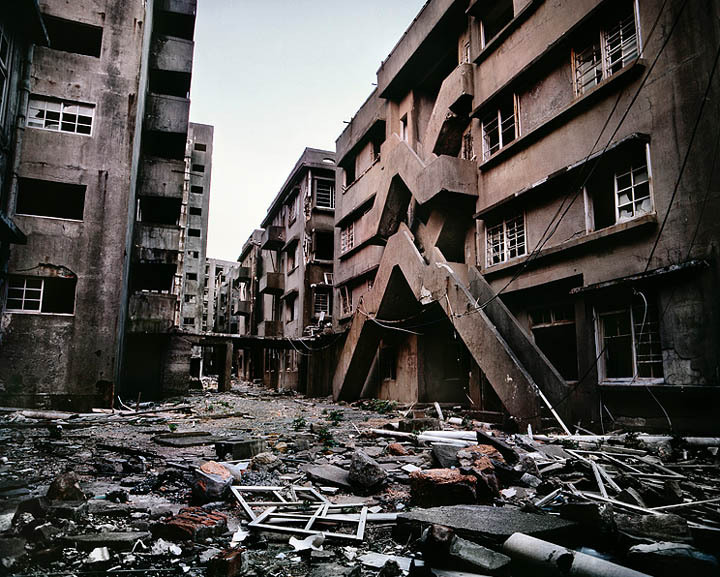 Another great movie about Gunkanjima from CM von Hausswolff & Thomas Nordanstad released on DVD by Errant Bodies Records. 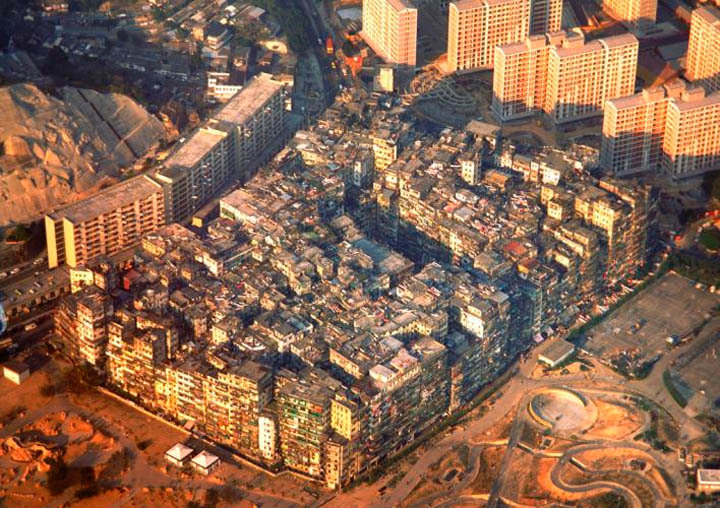 Kowloon city is one of the most hauntingly beautiful things I have ever seen... its like something from a dream. All of those people cast out from society, creating something new and incredible. Its shameful that it had to exist, but while it stood it was a glorious monument to the human spirit in the face of impossible adversity. 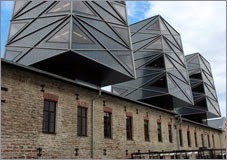 The people built a city housing 50,000 people out of scrap! Its sad to think that its gone. 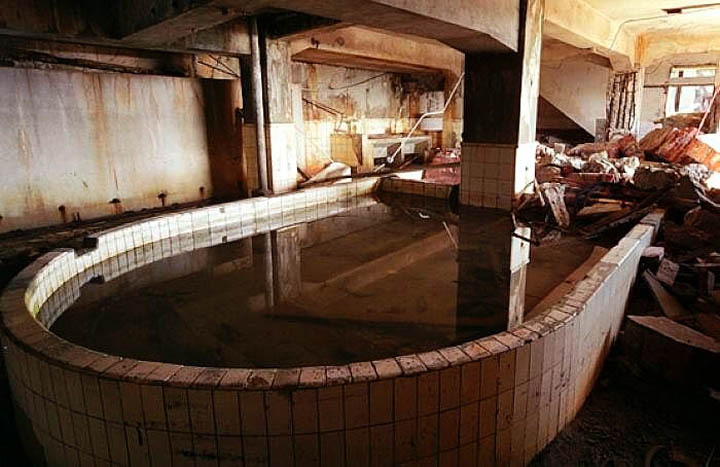 awesome places, a complete shame that have been demolished, at least we have these magnificent photos. Battleship island it's great, it really show us how will be the planet without our influence. 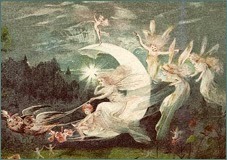 I was amazed looking at these pictures. A few years ago I was privileged to tour Chernobyl and it was so haunting. 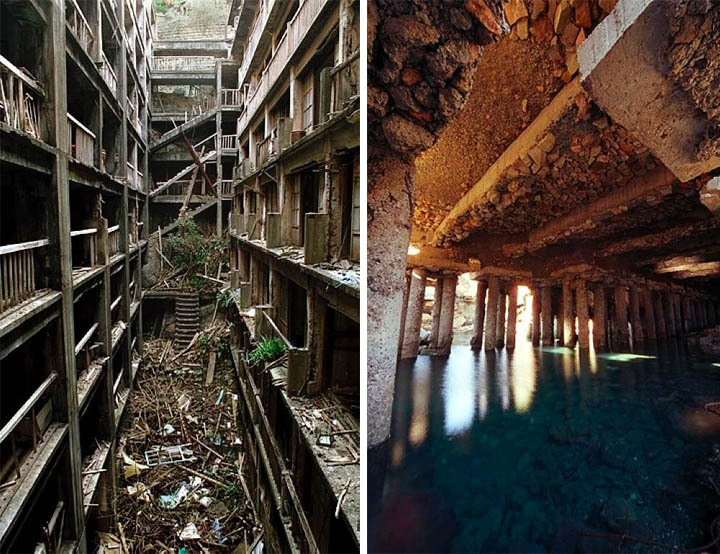 There is something strangely alluring about ruins like these. Yes, the San Zhi resort was torn down about 3 years ago or so...fortunately enough I was able to sneak in to take a look even before that...now I think it is used as some kind of garden/farm field? Thank you Richie - sounds really interesting! 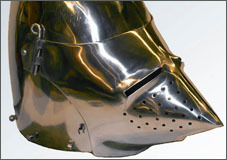 Contact us by email and we would like to see your materials! 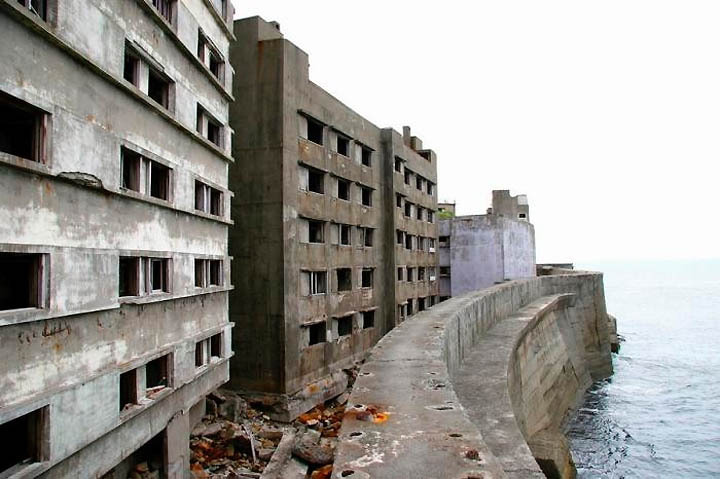 I might be mistaking, but I think in the last James Bond film, I saw Battleship island as one of the filming locations. 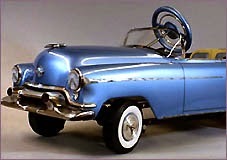 Haven't seen it yet, but on my 'to-get-list' for tomorrow to verify.